The Learning Support Department identifies pupils who are experiencing learning difficulties and then puts appropriate provision in place for them. The department offers a system of individual tutorials and/or small group teaching, primarily to develop pupils’ literacy skills. Much of the individual work is concentrated into Year 7 because it is important that literacy skills are improved as quickly and as intensively as possible, after entry. Competency in this area is central to all subject areas. Tutorials of 30 minutes are provided once or twice a week in Learning Support. Sensitivity is used when planning which lesson pupils are withdrawn from, to minimize disruption for the pupil and staff. The individual activities and tasks set for pupils depend upon the pupil’s learning difficulties which are detailed on the pupil’s Individual Education Plan or are apparent in low reading, writing or spelling scores. The department often helps pupils with problems relating to other areas as well, including numeracy, usually at the request of class teachers or the pupils themselves. Other interventions include: Telling the time club, computer club, touch-typing tuition, social skills groups, paired reading and mentoring. For Year 8 and 9 pupils we offer an accredited life skills course for selected pupils. The course has a practical focus, often involving community links, mock job interviews etc and all participating pupils achieve the Bronze and Silver ASDAN award. In Years 10 and 11 some pupils will take a “Skills for Work” course which will result in the nationally recognised qualification “Employability”, a portfolio-based course, certified by ASDAN. 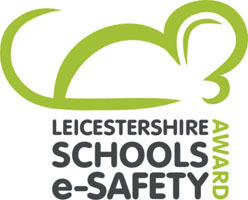 In addition, the Year 10 pupils will undertake three taster vocational courses at Leicester College during one afternoon each week, while in Year 11 pupils will spend a full day each week following their chosen course at Leicester College, from which they will gain a Level 1 Vocational qualification. Pupils develop many skills that they are able to transfer into the workplace and enhance their future lives. The Learning Support department provides classroom support for children in all areas of the curriculum. The support is designed to be flexible and is carefully considered to match the needs of pupils with all kinds of learning barriers. Our aim is for pupils to feel they can access the curriculum more easily while their gradual independence is encouraged. Mrs L. Gammon, SCHS SEN coordinator (SENCo), in collaboration with the Headteacher and the Governing Body, plays a key role in helping to determine the strategic development of the SEN policy and provision in the school to raise the achievement of pupils with SEN. Managing the SEN team of teachers, Teaching Assistant and Learning Support Assistants. Coordinating provision for pupils with Special Educational Needs. Overseeing the records on all pupils with Special Educational Needs. Liaising with parents of pupils with Special Educational Needs. The SENCo has regular meetings with the Assistant Headteacher to discuss Inclusion with regards to pupils with behavioural difficulties, thereby, establishing a close link between the Head of Years and the SENCo.